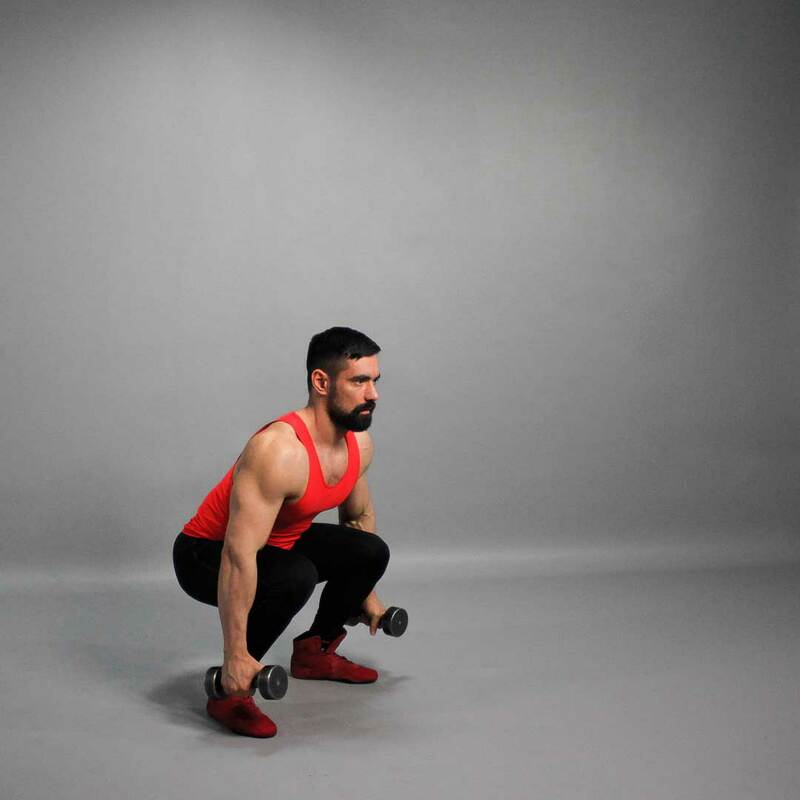 Stand straight with your feet shoulder-width apart and a dumbbell in each hand. This is your starting position. Exhaling, squat by flexing the knees and keeping your back straight. Squat until your thighs are parallel to the floor. Simultaneously with the squat move the dumbbells to your shoulders, the palms should face each other. Then, stand up while slowly returning the dumbbells back to the starting position. Repeat the exercise for the specified amount of repetitions. Precautions: Make sure to use a working weight.